Starting on 1 October, I am embarking on the month long Inktober daily practice! Every October, artists all over the world take on the Inktober daily drawing challenge by doing one ink drawing a day the entire month. It is a great way to improve drawing and inky techniques and a creative habit overall! It has since grown into a worldwide endeavor with thousands of artists taking on the challenge every year. After finishing the 100 Day project, I am ready to embark on another daily practice and share my progress with you! 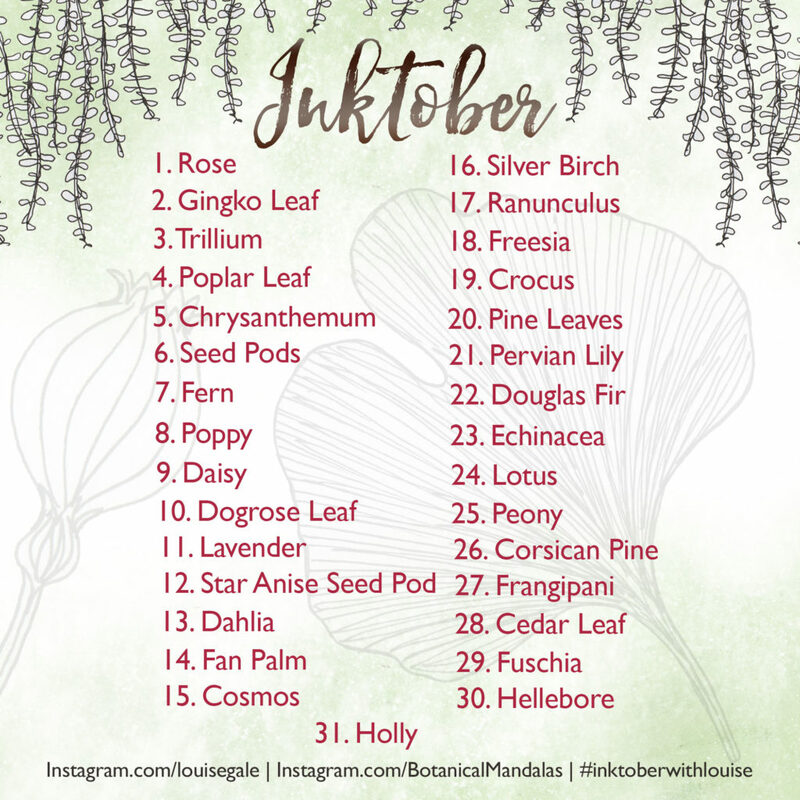 So, every day for the month of October, I will draw and share 1-3 Botanical Motifs (posting on @louisegale) using my own prompts (above) and then post an Inky Botanical Mandala (posting on @botanicalmandalas) that I have created from the motif(s)! 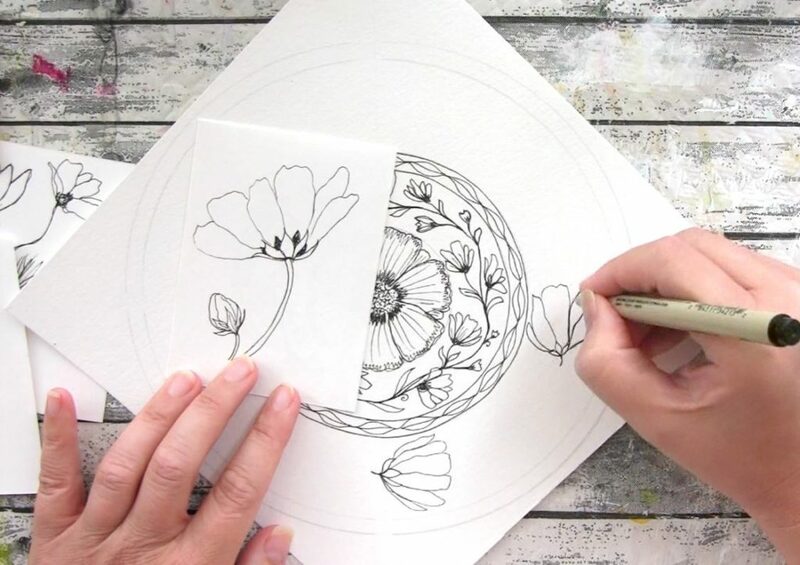 – Coloring in my Botanical Mandala designs using bright happy inky colors! 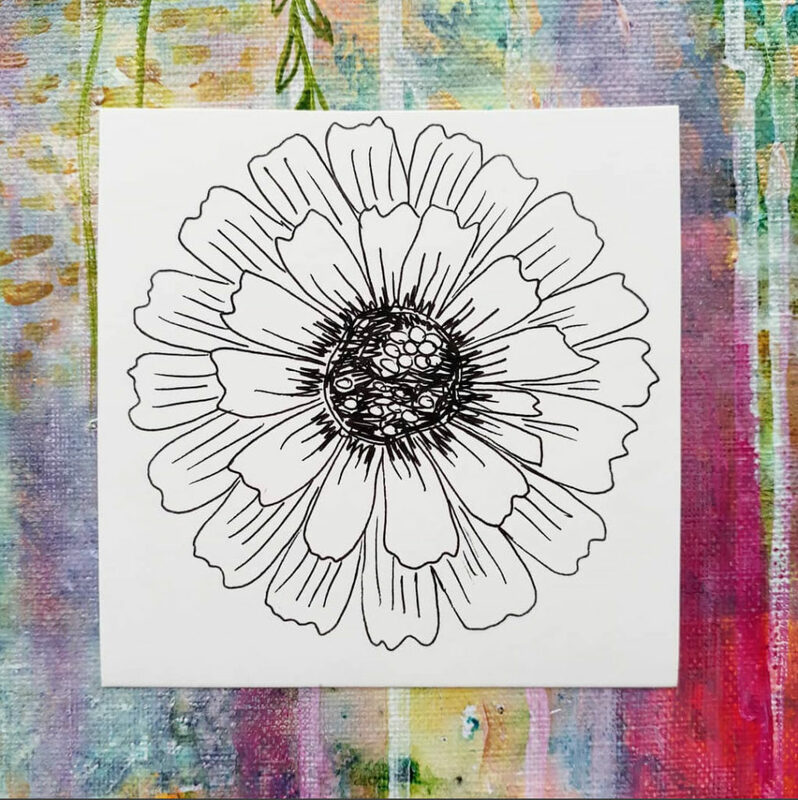 – Playing with inks to create backgrounds and abstracty botanical mandalas! – And much more…… that will be discovered as I journey on this month-long project! Would you like to join me? I would SO LOVE that! You can join for a few days, a week or the whole month, up to you! 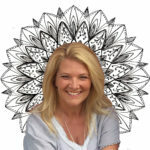 2: Follow me on @louisegale where I will post the motif and mandala in progress. 6: I will then comment on your lovely work and choose some gorgeous entries to share on my social media feed! Please note, you can dip in and out of the prompts as your please, so you do not have to do the full 31 if you are not able to! More info here from the organiser! The Inktober Challenge was created in 2009 by illustrator Jake Parker as a way to get better at inking. It’s since grown into a worldwide art event every October. It’s a celebration of drawing, creativity, and self-improvement. You can modify the challenge to suit your needs and abilities. If doing 31 drawings in a month isn’t realistic for your schedule, set a goal for 15 drawings in the month and do one every other day. Or do one a week. Or just do one on the first day. People who push themselves just outside their comfort zone get the most out of the challenge. Figure out what that is for you, set a goal, and work your hardest to reach it. Use whatever inking tools you have available to you. Whether it’s a bic pen, sharpie marker, or the latest Japanese brush pen, we’ve seen great art with all of those tools. I hope you will join me! Leave a comment below or share this post if you would like to invite your friends along too!